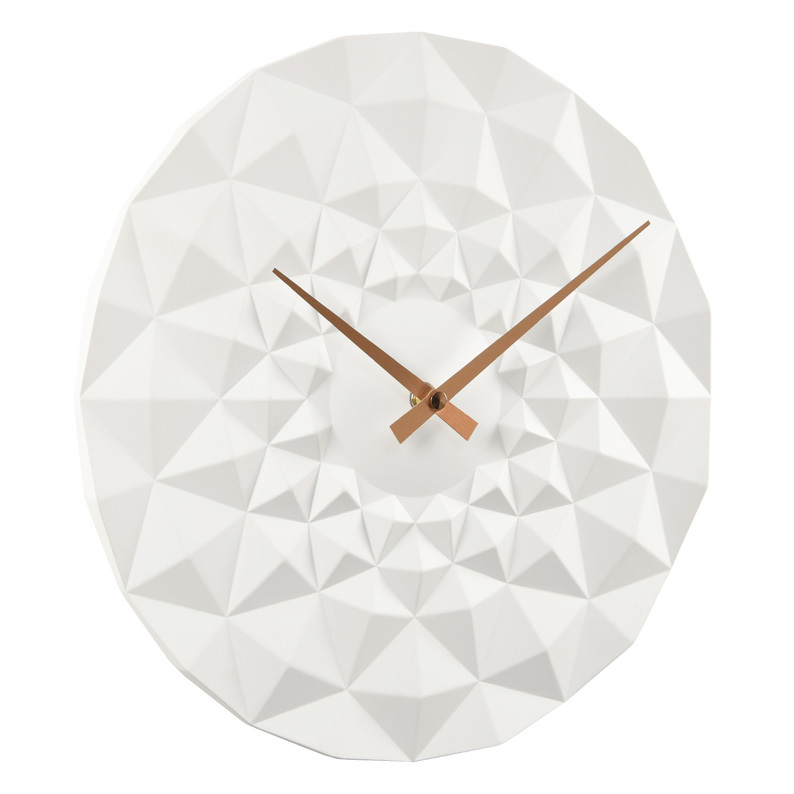 Bring a touch of sophistication to your living space in an instant with this stunning wall clock. The circles of faceted pyramids catch the eye and play with the light, creating shadows, angles and textures that will delight. Contrasting rose gold hands add an elegant opulent finish. Will look superb in a dining area above a candle-lit dinner table, reflecting the live firelight. Made from resin, size diameter 30cm, depth 3.5cm.